Well, I’ve been refining this drink over the last few days and it’s eerily similar to the En Banc that Dave has been working on. In my creation, I use Regan’s Orange Bitters while Dave uses Amaro. Dave came at his drink while thinking about refining a perfect martini and I came to mine while thinking about a Maximilian Affair. 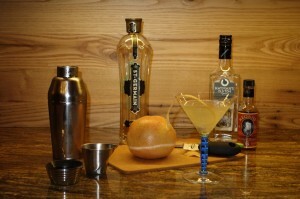 It just goes to show that there are many ways to create your own cocktails. So, here’s the Norman Conquest . . . In 10-something-something (that’s sometime in the 11thcentury for you history challenged folk), the French, in Norman form, invaded England and installed a king. This guaranteed a melding of French and English cultures for at least a little while. 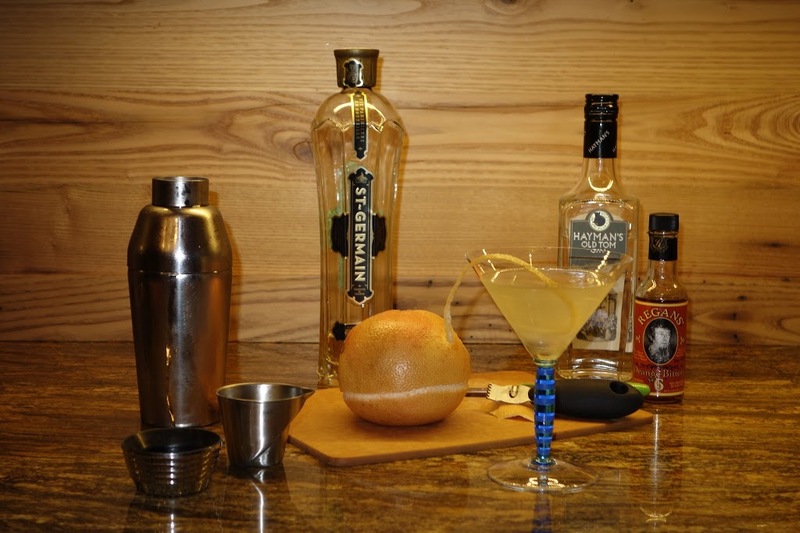 In this Norman Conquest, the St. Germain influences the gin taste without truly overcoming it. OK, that’s a stretch of an analogy, but you get the idea. I tried a few different gins with this creation and decided that Old Tom Gin, which is sweeter, more viscous and has a softer juniper scent than London Dry Gins just tasted better. Try this recipe with each and judge for yourself (if you like a strong gin/juniper taste and smell, try it with Plymouth Gin). Shake over ice and serve in a cocktail glass. Make sure you peel the grapefruit over the cocktail glass to get the grapefruit zest floating on the drink. This is a fantastic cocktail! I’ve tried a few variations I wanted to share – if only to avoid others from bothering 😉 . I ran out of grapefruit and tried to make it with an orange peel instead. Much less interesting of a drink, since the bitters are already orange and the grapefruit has that tartness to it that really cuts through the sweetness of the St. Germain et. al. I also made it with Genever (Bols) instead of Old Tom Gin. Non-starter. Way too syrupy-sweet. Oh – I also ‘tested’ making this with Domaine de Canton instead fo the St. Germain. I put that word in quotes because it was a pure accident – I just grabbed the wrong bottle out of the liquor cabinet. It wasn’t horrible or anything, but upon further testing, I couldn’t get this set of ingredients balanced out to ‘work’ IMO.